One hundred years ago, Koreans and Americans in Philadelphia stood together in solidarity and support of the millions of people in a united Korea peacefully protesting colonial rule in a fight for freedom and independence. April 14th and 15th of this year will mark the centennial of the First Korean Congress in Philadelphia, a delegation of 150 Korean and American citizens inspired by the First and Second Continental Congress of the United States and the millions of Koreans who peacefully stood for freedom in the March 1 Movement of 1919. Notable founders of the First Korean Congress included Philip Jaisohn, Han Kyong Jung, and Syngman Rhee, who became the first Korean President of the Republic of Korea. 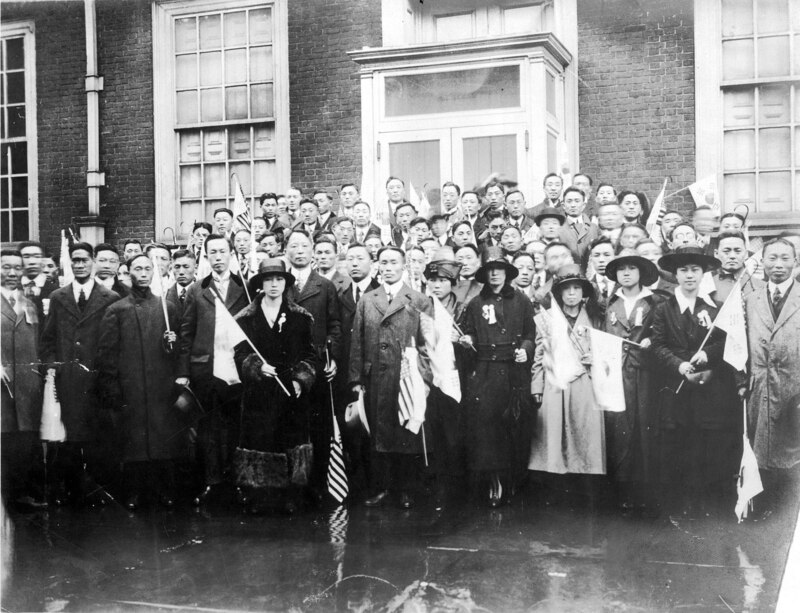 Following the establishment of the First Korean Congress, Philadelphia would soon after become the birthplace of the League of Friends of Korea in America, organized in 21 American cities as well as abroad in London and France. The aspirations of the Korean people for basic freedoms and rights go beyond the border of any one nation, as demonstrated by the international outpouring of support for the peninsula over the last century. 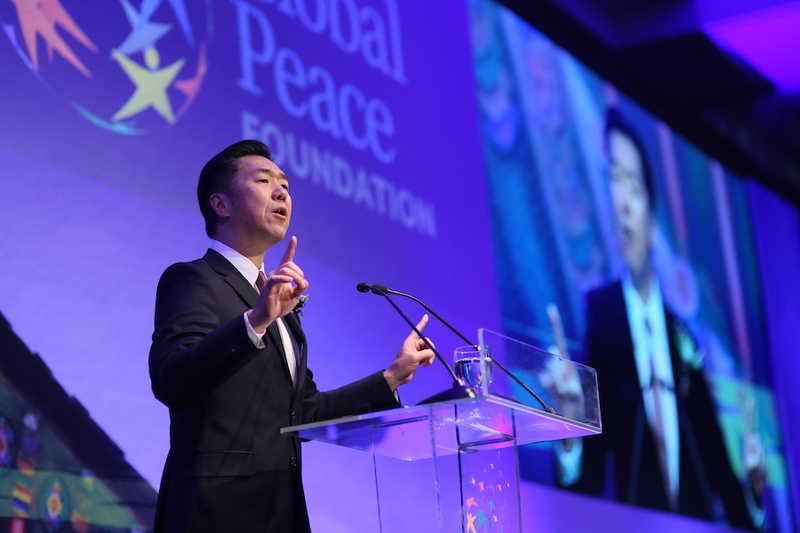 Dr. Hyun Jin P. Moon, GPF Founder and author of Korean Dream: Vision for a Unified Korea, turned a spotlight on leaders of the Korean independence movement at a centennial commemoration of the March 1 Movement in Seoul during the Global Peace Convention 2019. The City of Philadelphia’s historical connection to Korea’s independence movement will be recognized and celebrated through the following events from April 12 to April 14 offered to the public free of charge. Day 1: Friday, April 12th at 7PM – The celebration will kick-off with an Opening Ceremony and Symposium at the Plays and Players Theatre (“Little Theatre”), located at 1714 Delancy Pl, Philadelphia, PA 19103, where the First Korean Congress met. Day 2: Saturday, April 13th from 11AM to 1PM – The reenactment of the First Korean Congress-led march from Plays and Players Theatre to Independence Hall. An anticipated 1,200 people are expected to participate, including elected officials, government representatives, and all major Korean American organizations in Philadelphia. Day 2: Saturday, April 13th at 7PM- The Centennial Concert, featuring Philadelphia Master Chorale, Master Chorale Youth Choir, WCU Faculty Brass Quintet, Master Chorale String Ensemble, and Korean American Youth Cultural Society, will be held at Church of the Holy Trinity, located at 1904 Walnut Street, Philadelphia, PA 19103. Day 3: Sunday, April 14th at 6PM – The three-day celebration will close with a Korea-U.S. Friendship Night with traditional Korean music, dance, and art performed by artists from Korea, Philadelphia, New York and New Jersey. It will be held at the University of the Arts-Elaine C. Levitt Auditorium, located 401 South Broad St., Philadelphia, PA 19102. Councilmembers David Oh and Helen Gym are Honorary Co-Chairs of the First Korean Congress Centennial Celebration Advisory Committee. For more details about the upcoming events, please visit: www.firstkoreancongress.org.